Davis Hall girls recreate "A Knight's Tale"
Come to Lee, we write on our chests! The Top Ten Lee U. YouTube videos. Lee University may harm your computer. Facebook delivers news from the future. It's all about the advertising. Trapped in the religion building! When all else fails, hold hands. Something seems to be stuck. Carbon dioxide, I need you now more than ever! A good ending for the BCS? 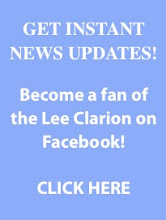 Last summer pages from the Lee Clarion attacked the walls of the managing editor's office. Well, it's happened again. 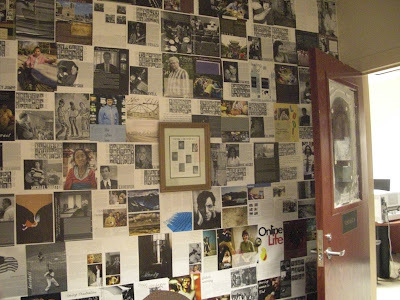 The Vindagua office now has a wall covered with the most memorable pages from last year's annual, serving as a reminder of the hard work it takes to create a yearbook. In my office at least, it's like walking into a visual timeline of Lee's history to see wall"paper" of select Lee Clarion covers throughout the decades.